Courtesy of the Raspanti family. 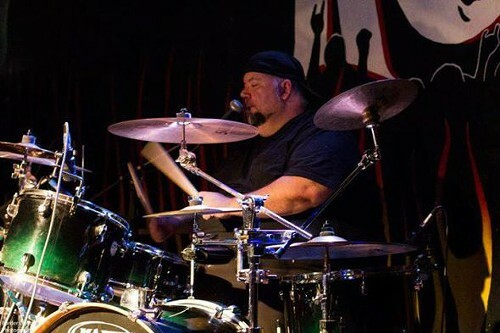 Dean "Dino" Raspanti played for Three Left For Dead, Thunderosa, Worm, and Brother Creep. Stephen Seigel, Weekly music editor, closed this week's Soundbites with some unfortunate news regarding the death of local musician Dean "Dino" Raspanti. Raspanti 41, suffered a fatal heart attack on Tuesday, Jan 1. The Chicago native was one of seven siblings. Raspanti recently recorded an album with his band Three Left For Dead. The album is currently in the mixing and mastering stage, but Three Left Ford Dead members disbanded in honor of Raspanti's passing. OK, with Dino's passing 3L4D has officially ended. All the material we managed to record is still in the mixing and mastering process. As soon as that is complete we will make it all available to anyone interested. This FB page will remain up as long as possible. Thank you all for listening and hanging around. Danielle Beverly, Dino's older sister, says he was a cook and worked for Daglio's and Philly's Finest Cheese Steaks. Dean's brother Nick said, "Dino was very dedicated to his craft." The lifelong bachelor was born on July 15, 1972. Dean's memorial will start at 6 p.m. at Kolb Lounge, 1180 S Kolb Road. The memorial is open to the public.